ABC Nepal initiated SABAL program (funded by Stromme Foundation, Norway) in 6 village Development Committee – Pokharvindi, Dhakdhai, Bagaha, Basantapur, Pajarkatti and Bodawar in rupandehi district since June 2011. The program was designed for 3 years incorporating in four major intervention lines (IL) with ABC Nepal program priorities.The overall objective of the SABAL program is to improve the quality of life of adolescent girls and their families through social and economic development activities such as : Life skill training, skills development trainings,introduction of formal and nonformal education , initiating income generating activities by Self Help Groups. Subha Yatra is a safe mgration project initiated in 2011 with the financial support of European Union , Austrian Development Agency, CARE osterreich and CARE Nepal. The overall goal of the project was to promote safe migration and protecting rights of female migrant workers through mobilization and strengthening response of civil society . Subha Yatra has 2 specific objectives : a) Strengthen capacities and linkages of civil society organizations along the mobility continuum to prevent and address exploitative migration and trafficking . b) Empower potential female migrants to make informed choices/decisions about migration. 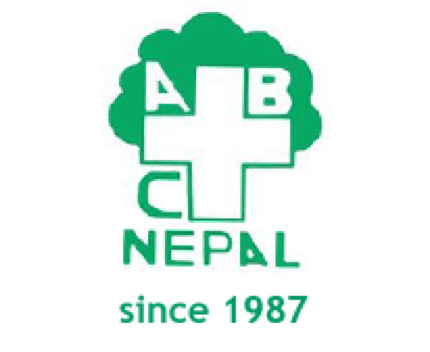 ABC Nepal started the Better Life Programme for Adolescent girls in 1995 , in two of the most prone district for Trafficking: Ramechhap and Nawalparasi. The organization provided the girls with non-formal education in the family and life skill training for IGA. ABC Nepal provided various skill trainings such as : sewing/Tailoring, Bamboo crafting , Mushroom Farming , Food processing , candle making , Kitchen gardening,fabric/textile painting and animal husbandry in close coordination with various service providers. ABC Nepal provides seed money and training for rural women to help them form sawing and credit groups with IGAs. The project facilitated more than 250 women’s cooperatives and has achieved economic sustainability. The objective of the program : to build the capacities of high-risk girls from Dalit and other deprived families and trafficking survivors in Nepal in developing their vocational skills. It provides nonformal education, skill development training with material support and also supported in job placement. The programme was first implemented in four districts , Morang, Dhanusha, Siraha and Rupandehi, supported by Planatte Infant. The programme major objective was to prevent girls trafficking and create a long lasting network composed of Nepalese NGOs, elected woen members of VDCs and DDCs. Nepal Police personnel-particularly form women and child protection centers. HIV/AIDS and Migration Project, funded by Danish Embassy in 32 VDC of Morang and Sunsari district (eastern part of Nepal) – Six years project. We Can Project, funded by OXFAM/GV related to violence against women – 4 years Project. Health services program in the community, supported by Doctor of the World, USA -3 years Project.